Money transmitters need to obtain a surety bond as a licensing requirement. Arkansas Senate Bill 187, which became effective in 2019, makes a few changes to the licensing of Arkansas Money Transmitters. The bill amends the Uniform Money Services Act. One of the biggest changes is how surety bond amounts are calculated for the state’s Money Transmitters. Before the bill, the surety bond requirement was $50,000 plus $10,000 for each location in the state, with a maximum bond amount of $300,000. Senate Bill 187 changes the bond amount to be based on the previous year’s dollar volume for money transmissions, payment instruments, and stored value. The minimum bond amount is $10,000 and the maximum is $300,000. A licensee must have a minimum net worth of $50,000. License fee changes from $750 to $375, which is refundable if the applicant is denied a license. Renewal fee has changed from a biennial fee of $750 to an annual fee of $375, and changing the renewal date from Dec. 1 to Dec. 31. If a licensee does not renew within 30 days of the renewal date and does not show good cause to receive an extension, then they must submit a new application if they wish to be licensed. 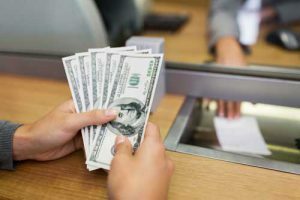 How Do I Get a Money Transmitter Surety Bond? Contact SuretyGroup.com to get started. We offer low rates starting at 1.50% of the bond amount with good credit, plus free, no-obligation quotes that fit your specific situation.